New Delhi : Our galaxy witnesses many big events each new day. This time, it’s the solar storm which is heading towards our planet Earth. But, nothing serious, as scientists say that it is a small storm and no big light show can be expected. Space weather forecaster Jonathan Lash says a solar flare from the sun is approaching towards the Earth. The flare left the sun this week and is due to arrive at planet at around 2 p.m. EDT on March 23, i.e today. 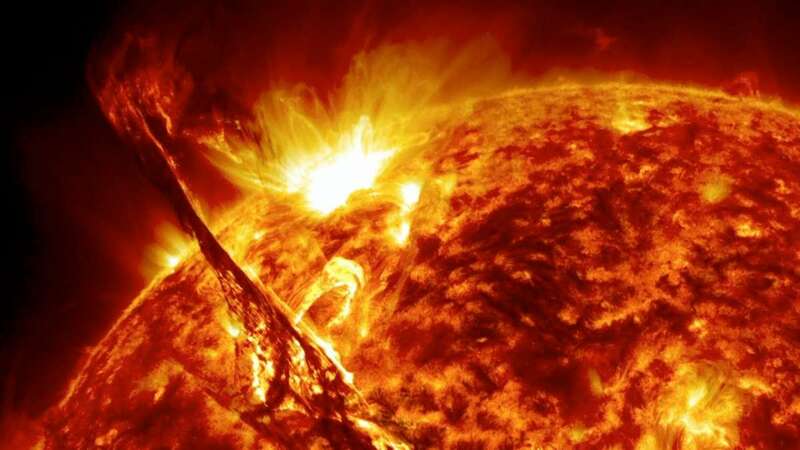 The National Oceanic and Atmospheric Administration scientist says the solar storm is too weak and any light show would be limited to Alaska, Canada, Iceland, Norway and other far northern spots. Further, Lash confirmed that the event is unusual but not rare. The coming solar flare is uncommon because it is happening during the quiet four-year solar minimum. It is not likely to cause power or communication problems on Earth, nor will many people get a chance to see shimmering auroras. Solar storm is an eruption of mass and energy from the solar surface. It is a sudden flash of increased brightness which is in close proximity to a sunspot group. Powerful flares are often, but not always, accompanied by a coronal mass ejection.